WHEW! Summer officially started only a few days ago, but temperatures are climbing, it's almost July already, and things are really heating up! Time to grab a cold Florida brew? Yeah. 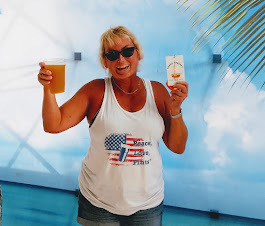 So, take a look at the Tap This Calendar Page for local beer tappings and such around North Florida, AND, check out the BeerSphere Page for beer fests and special events around Florida (both are constantly updated). Where? North Florida, Daytona, Space Coast, South Florida, and I even have an Orlando event listed right now. Here's a sampling of what your next road trip (or two) might look like. And, hey, like you haven't heard this before: get a room (so you don't have to drive back). 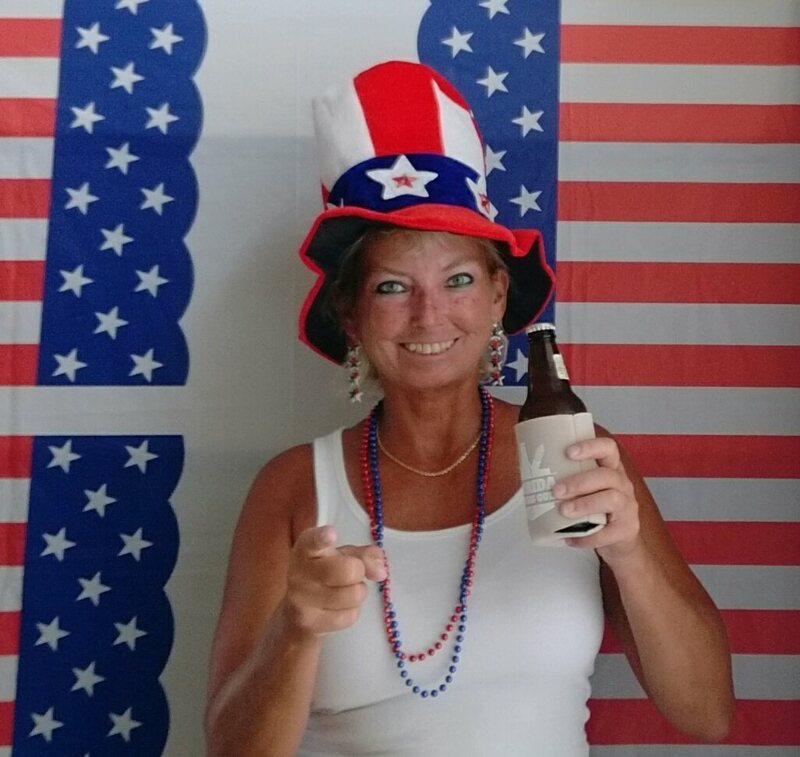 WALKING TREE BREWERY, Vero Beach, opens June 23, 3pm. Followed by Grand Opening 7/16 (see below). HELL 'N BLAZES BREWING CO. Opening Day, downtown Melbourne, 5pm. This has been one highly anticipated brewery for a while. I got the sneak peek during-construction look in April -- read the story HERE. Looks awesome. Can't wait to go back to see how it looks after the dust settles! .... AND TO TASTE THE BEER!!!!!! 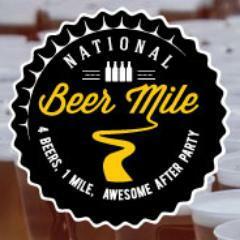 NATIONAL BEER MILE, 11am. 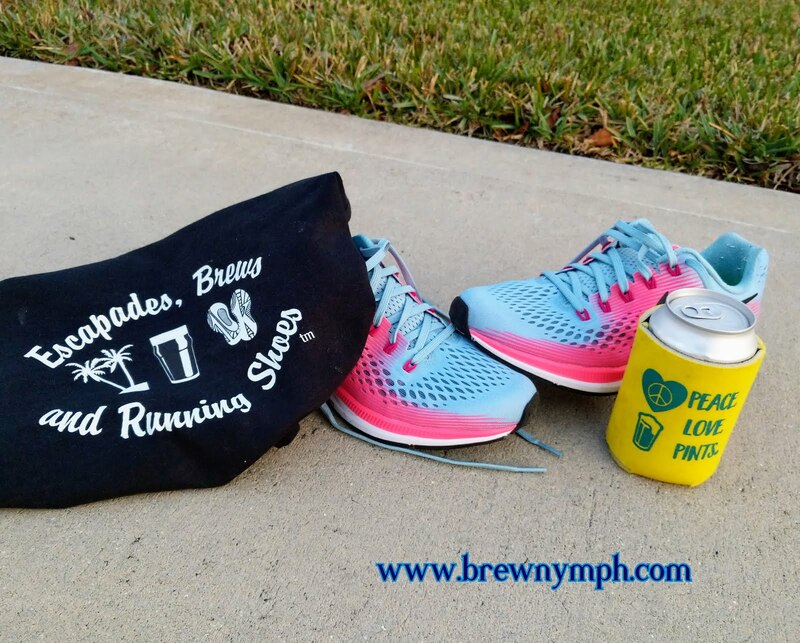 Four Beers, One Mile. Open bar after-party. Miami (6/25), Tampa (10/22). 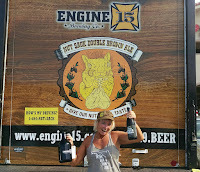 ENGINE 15 BREWING COMPANY, Jax Beach, is turning 6! Thursday, June 30: Annual Vertical Tasting of Chupacabra, Russian Imperial Stout aged in Bourbon barrels, 6:30pm. 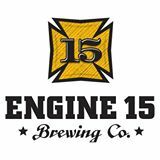 Only 35 tickets available; price is $35; MUST reserve by email, david@engine15.com. 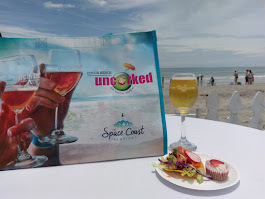 Includes reception, appetizers, keepsake glass, tastings of 2013, 2014, 2015 and 2015 Chupacabra, and one E15 pint of your choosing. Before or after the Nutsack? THEN, SATURDAY, JULY 2: HAPPY 6TH ANNIVERSARY: Bottle release of Chupacabra starts at 11am: First 50 people will be able to buy up to 4 bottles,and if you are the first 25, you will be able to purchase a vintage 2015 bottle. Next 50 can purchase up to 2 bottles. On tap: 35 E15 beers, plus 15 guest taps. Last year's anniversary was awesome, and the Nutsack flavors were amazing! 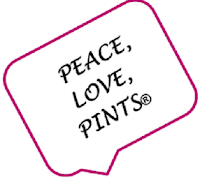 More info on the beers to be tapped tba. DAYTONA BEACH BREWING COMPANY Two-year Anniversary Week. The brewery turns 2 on July 1, and they're releasing new beers daily, starting on Tuesday, June 28. DUNEDIN BREWERY 20TH ANNIVERSARY! 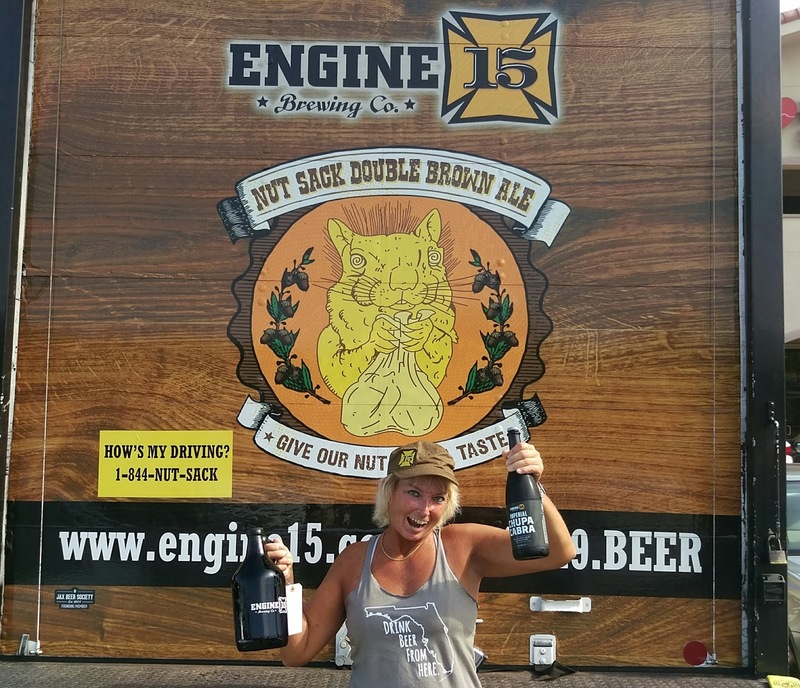 Florida's Oldest Craft Brewery turns 20. Beer releases, bottle releases, music, more. 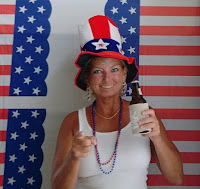 TOMOKA BREWERY, Ormond Beach, Three Year Anniversary, 3pm. The original brewpub on Granada Blvd. Special tappings, food truck. This is a very cool, little place. It's where they started! Sampling of WICKED BARLEY BREWING COMPANY beers. 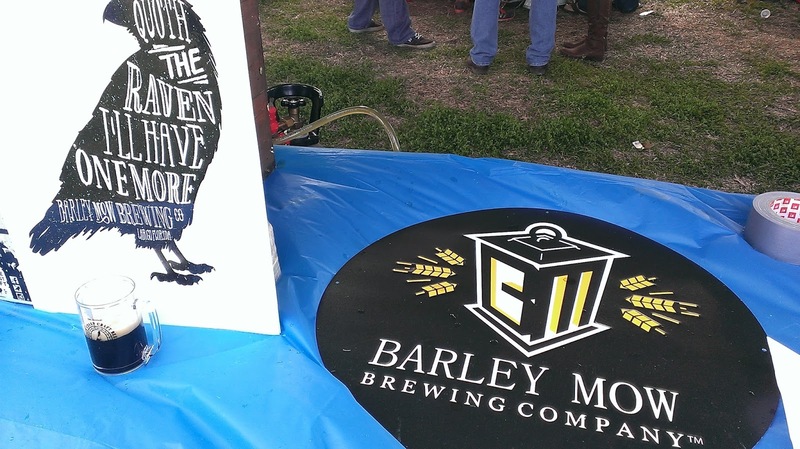 It's the next brewery set to open in Jacksonville, and it's already making headlines. Looking ahead to a summer opening of the highly anticipated brewpub, the guys will be pouring samples of their beers at two locations: Really Good Beer Stop, Jax Beach, Friday, 5/27, 6-8pm; and Beer:30 San Marco, Jax, Saturday, 12-6pm. Here's your chance to try the beers and get a sneak peek of what's gonna be on tap (and, yes, it's free). I got an inside look at the place during construction, and it's looking good! 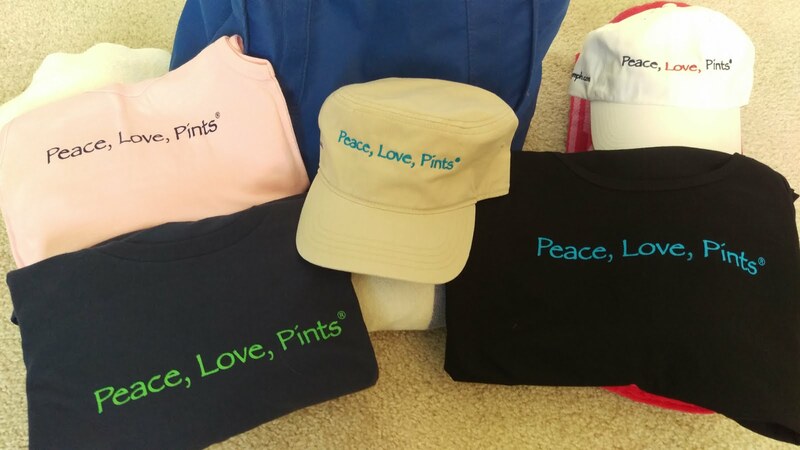 WALKING TREE BREWERY GRAND OPENING CELEBRATION, Vero Beach, 2-8pm. They've been doing the beerfest circuit, and this one's been in the works a while. Starting out with a 20-barrel brewhouse. Opening date 6/23. Music, food trucks .... beer! PALM BEACH SUMMER BEER FEST, South Florida Fairgrounds, West Palm Beach. Indoors at the Expo Center: Rain, Heat: it doesn't matter. New this year: TWO SESSIONS: 12-4pm and 5-9pm. 1500 Tickets each session. This is one of my favorites! And, I always love a trip to South Florida! Take a look at my post from 2015 RIGHT HERE. Tickets on sale now: get yours HERE. 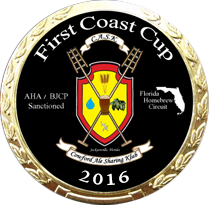 CASK Jacksonville Homebrew Club (Cowford Ale Sharing Klub) presents the 9th Annual FIRST COAST CUP brewing competition. Event takes place at Four Points Sheraton-Baymeadows, Jacksonville. Judging begins at 8am on 7/29 and continues through 7/30. Awards Banquet and After-Party on Saturday. Registration is open now thru July 8. See links for more info and to register. 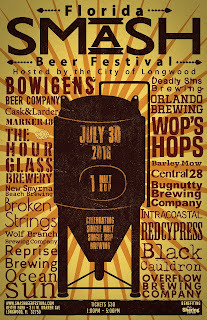 FLORIDA SMASH BEER FESTIVAL, Reiter Park, Longwood, 1-5pm. 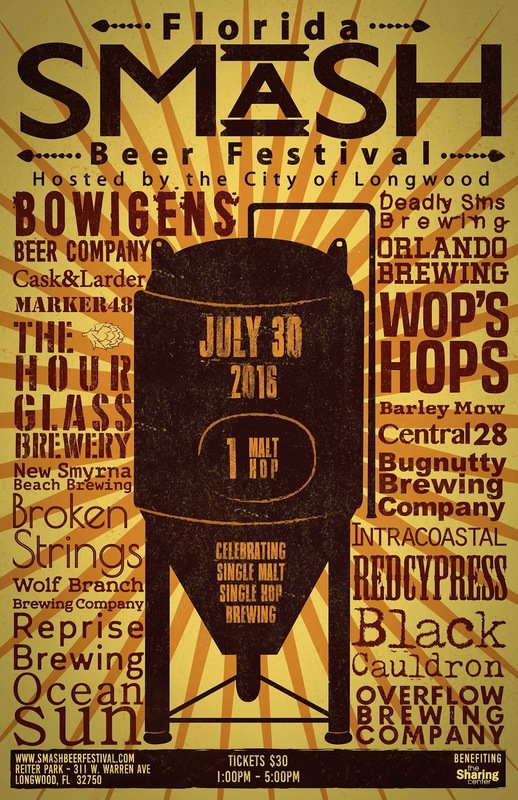 Hosted by The Hourglass Brewery and the City of Longwood. Central Florida breweries each making a beer from the same single malt and single hop ("SMaSH") -- THAT should be fun. 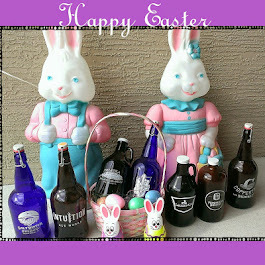 Plus, they'll have some of their own beers available, too. Around 50 beers including one-offs. Proceeds benefit The Sharing Center. It's a ticketed beerfest event: get em HERE. And, these events below already happened, but you can still read about 'em ... because they were THAT good! SIERRA NEVADA BEER CAMP ACROSS AMERICA is coming to TAMPA, FLORIDA! When? June 4, 2016. Where? 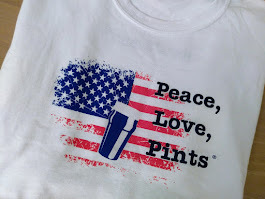 Curtis Hixon Waterfront Park, 5-10pm (VIP/early admission; general admission at 6pm) ... And, check out the collab list - FUNKY BUDDHA BREWERY is one of the brewers! 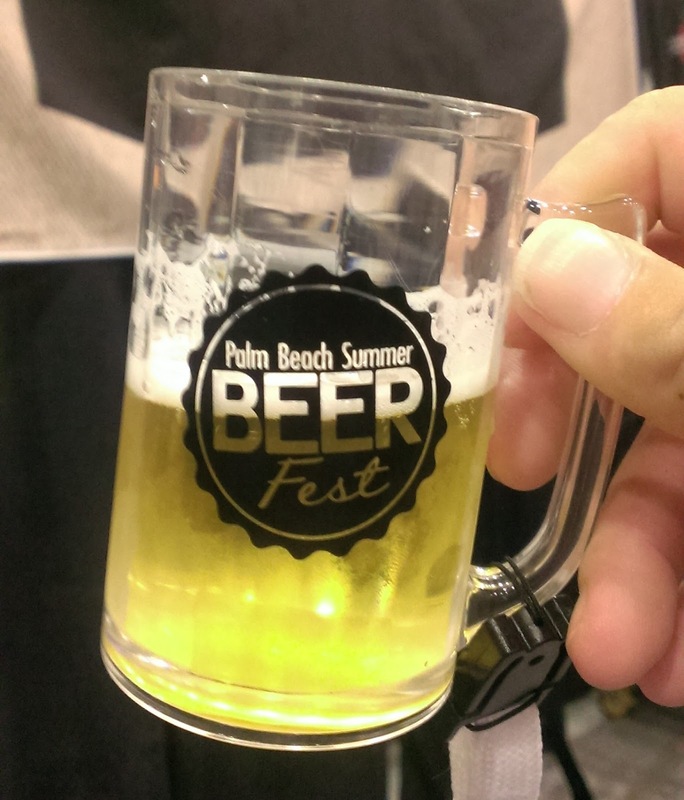 Fest is presented by, and for the benefit of, the Florida Brewers Guild. GREEN ROOM BREWING 5th Anniversary! 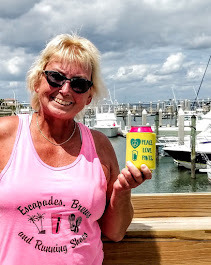 Jacksonville Beach, noon til ???? Featuring bottle release of Thousand Beer Storm Triple IPA (it's the brewery's 1000th batch), made with Gallberry Honey and dry-hopped with Citra. This year's Secret Spot bottle release: Imperial Stout aged in Dominican run barrels.And, the brewery bar will be tappin' some pretty awesome treatments of Secret Spot. Music by Firewater Tent Revival at night. And, Just Doggin' It food truck. I'll be hanging around doing beer blogger stuff (whatever that means) at a few of these events, so stop and say Hi (because I like that kind of stuff)!